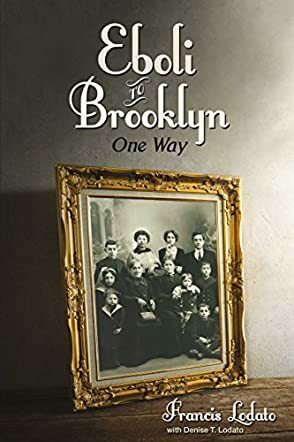 Eboli to Brooklyn: One Way by Francis J. Lodato and Denise T. Lodato is the authors' family memoir chronicling an immigration from Eboli, Italy to New York. The book begins with a little history and details of the planning and migration of the Lodatos as they journey from the province of Salerno in Southern Italy (although the matriarch was actually from Tuscany) and hit the shores of the United States. Like most who make this crossing, the idea of settling in a foreign land with a new language and the loss of community is often greater than the passage itself. For the Lodatos, settlement was particularly difficult. “The family was living in Brooklyn when my mother gave birth to twins – a boy and a girl. At their birth, the world was suffering from an influenza epidemic that would ravage millions of lives before it ran its course. In the United States alone, 600,000 people died. The Lodato twins needed hospital treatment, but hospital rooms were sparse and unsafe.” There are a great number of tragedies that would ravage the family even after most survived, and their ups, downs, and ups once more are fully detailed to bring together the story of one family that was able to rise above and flourish, even with all the odds stacked against them. I have to admit, I am always leery when I'm approached with a memoir as they can be incredibly tricky to review. How do you place a score on someone's real life experiences? Thankfully, Francis J. Lodato and Denise T. Lodato made this pretty simple for me. The narrative of Eboli to Brooklyn: One Way is direct and straightforward, but executed with a style of writing that made it comfortable to read. And by comfortable, I actually mean the format...not the story itself. This memoir is anything but comfortable as it dances fluidly from one hardship to the next. Still, in a personal history that has all of the right components to make a reader turn pages, a sense of hope and optimism remains throughout. The Lodato story is engrossing and intriguing, and I'd recommend it to anyone with an interest in biographies and inspiring tales.